Private transportation services are available in the Lake Como area. Boat rental, taxi boat and private car services on Lake Como. Boat hire is easy and some places do not require a nautical license. Boat Tours and excursions can be arranged with taxi boats in private or in shared groups. Romantic happy hour or bridal party cruises for weddings can also be arranged. Luca and Marco at are real professionals. They have an elegant Venetian-style retro classic with an open sliding sunroof suitable for up to 18 passengers. Perfect for wedding parties, family groups or available for private rental for a romantic happy hour. The interiors are pristine white eco-leather and the boat is maintained and licensed according to EU standards. They do tours and excursions of the area, sharing the history and beauty of Lake Como. Departure is from Varenna, but other pick-up locations can be arranged. An elegant Venetian-style retro classic for up to 12 passengers and a tourist party boat for up to 40 passengers and another for up to 100 passengers. Excursions and cruises depart from Lecco. 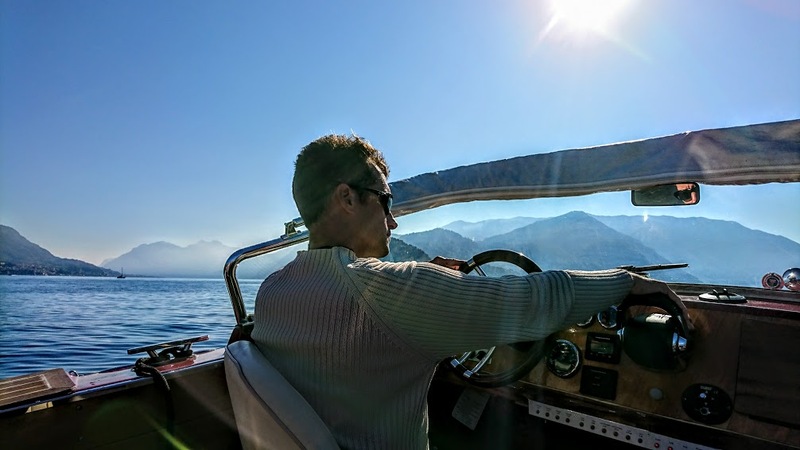 Motorboat rental from 9 AM to 8 PM in Lecco. For boats with 40 HP engines, a nautical license is not necessary. Half-day prices run from 200 euro. THIS PAGE IS IN UNDER CONSTRUCTION, please contact me for assistance.